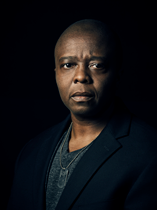 Yance Ford is a Sundance Institute Fellow, a Creative Capital Grantee and featured in Filmmaker Magazine’s 25 New Faces of Independent Film. A graduate of Hamilton College and the Production Workshop at Third World Newsreel, he is a former series producer of the PBS anthology series POV. Ford’s feature documentary Strong Island has played over 15 film festivals worldwide. The Root 100 recently named Ford among the most influential African Americans of 2017. The Guardian said of his directorial debut “There’s something different about Strong Island, however, a film characterized by raw emotion and calm anger, which must surely be considered one of the finest documentaries of 2017…” Strong Island launched globally on Netflix September 15th.